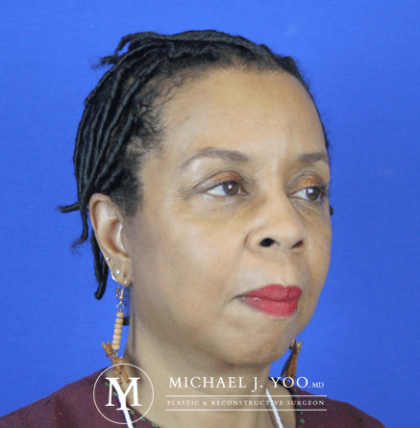 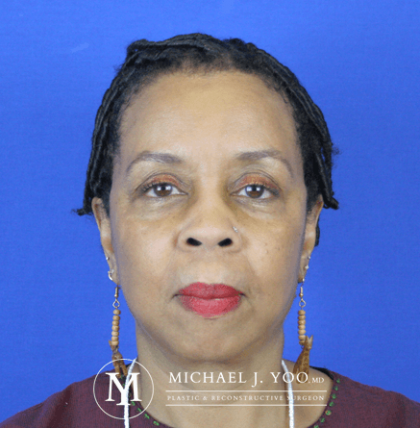 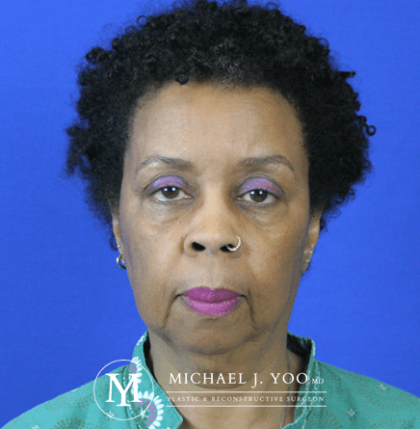 This patient underwent a High SMAS Face & Neck Lift by Dr. Michael J. Yoo, MD - Double Board Certified Plastic Surgeon with expertise in Facial Aesthetic Surgery. 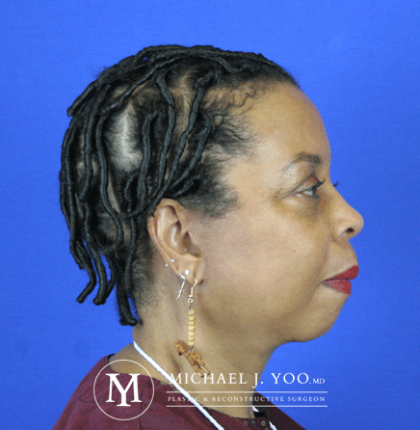 Her preoperative goal was to look like a younger version of herself, not a completely different person. 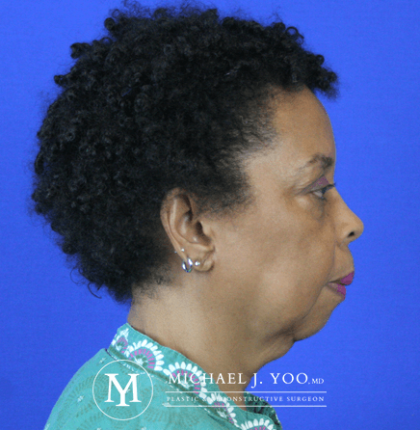 We had discussed using a chin implant and facial fat grafting, but she did not want a drastic change in her appearance. 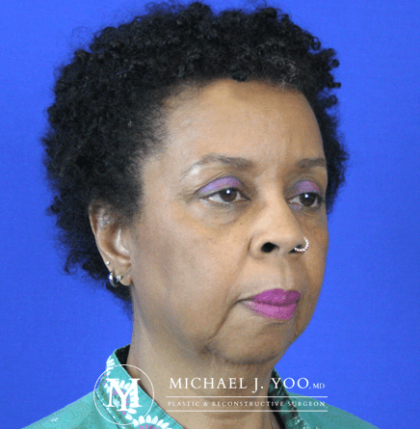 She is very happy with her postoperative result.